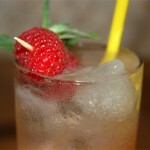 That was inspired by Cheri Loughlin’s article about Drambuie. Some cocktails mentioned there imprinted themselves in my mind. 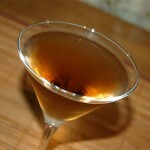 One of them, The Forty-Five, was earlier on my blog, adapted and tried with various whiskies. Created by Jamie Stephenson, Drambuie global ambassador, Renaissance is another cocktail with Drambuie I like very much. And for me, it was another target to adaptation and changing. Because the taste of the new drink reminded me of our patrimonial tradition to celebrate together old Russian Orthodox feast called Yablochny Spas, or The Transfiguration Day. Maybe it was too conceitedly but my remembrances were too lively. I could’n resist that temptation. The 19th of August is the Transfiguration Day («Preobrazhenie Gospodne» in Russian) – one of the Twelve Great Feasts in the Russian Orthodox Church. Or, as it’s called in the Russian tradition, Yablochny Spas, the day when apples are to be blessed to consume. I’m not religious, for me it’s a day when my big family (not only parents but grandmother and grandfather, their brothers and sisters, my cousins and nephews too) came to one old house in small village. Almost one hundred years old, this big house has been built by my grandfather. Now I remember its smell of wood from its walls and of smoke from stove, I remember its sounds of creaking floor boards. That day all we were sitting together in the svetlaya, a front room in a house, drinking tea and eating pirogi and just speaking about life. It was beautiful just to be among my kinsfolk, to feel that I’m home and everything is alright here. 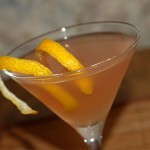 And all these nice feelings and remembrances have revived when I firstly tried my adapted version of the cocktail. But everything was different with original version. 2 dash orange bitters (homemade bitters based on Regan’s #5 recipe). Stir with ice and serve in cocktail glass. 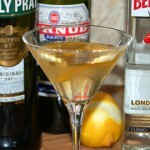 Magnificent cocktail with strong and sweet aroma based mostly on Drambuie and vermouth flavours. But on the other hand it was excessively sweet because very sweet components such as Drambuie, Appleton V/X and orgeat present there at the same time. Also strong molasses aftertaste is not the best option coming after sweet palate. In finish it combined with honey flavour and destroyed all gentle herbal hints. I had an intention to correct this situation. Firstly I tried to find lighter rum. But Cuban and Puerto-Rican white rums were too weak in flavour to compete with Drambuie. Then I tried to substitute blended scotch whisky for rum but failed: the cocktail with whisky was too similar to Rusty Nail or Holiday Rob Roy. Therefore I returned to rum and started to try all rums I have at that time, and the best option I found was Barbancourt Three Stars rum. 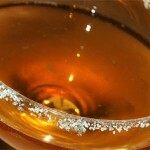 This Haitian rum is light and mellow and has no molasses flavour but preserves Caribbean rum’s brightness and sweetness. Yes, sweetness… Excessive sweetness remained a problem for me so I was searching a way to balance it. 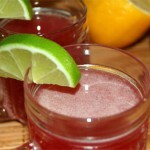 To add some juice was a proper decision but what juice should be used? 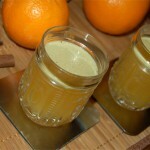 Citrus ones are too strong, tropican juices are too sweet or exotic… Maybe apple juice? 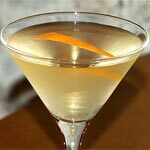 I had a bottle of homemade apple juice so eventually I tried it and found myself very happy seeing how well it works with Drambuie, orgeat and dry vermouth. Then I’ve just changed a bit proportions and shaked my new version called «The Transfiguration Day». Shake with a plenty of ice, serve in cocktail glass or coupe. Garnish with apple slice covered with freshly grated cinnamon. Well, my version was still magnificentl and marvellously sweet. Starting with honey-herbal Drambuie flavour, it becames more herbal and dry on the palate. 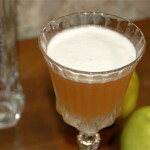 Apple and rum appear on the swallow. They provide more subtle dryness and ripe apple’s sweetness. In aftertaste bittersweet orgeat meets honey and wood to combines in spicy and sweet aroma with a hint of dry vermouth herbs. 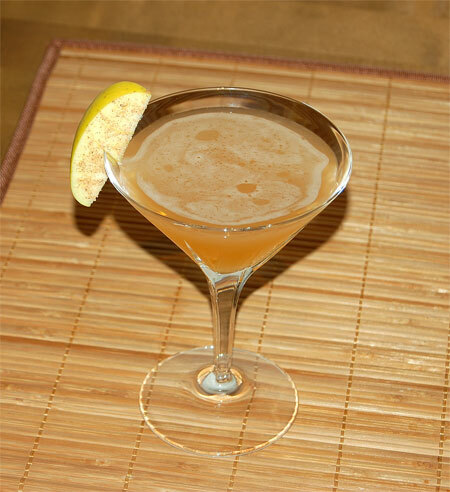 And above all is the sweetness of Drambuie , splendid, relaxing, hedonistic sweetness of honey, apples and flowers.